What is the best Tulum Fly Fishing experience? Tulum is a small city on the Yucatan Peninsula in Mexico. This small city has grabbed the attention of many international travelers due to its excellent location that provides access to many exciting things. For instance, this place has a beautiful white beach, it’s close to some Mayan ruins, and it has three parks and many eco sites. Of course, Tulum is good for fly fishing too. Fly fishing near playa del carmen in saltwater is a unique experience, and this is especially true for those fishing in areas like Tulun. The reason is simple – these places are rich in different types of fish, and they look amazing. With a pleasant climate and abundance of fish, the Tulum area is a real fly fishing paradise. What are the best Fly Fishing locations near Tulum? If you are looking for the best fly fishing locations near Tulum, then you must take Cozumel into account; this is an island located just 30 miles northwest of Tulum. There are a few locations on the island which promise many exciting moments for both seasoned and first-time anglers. 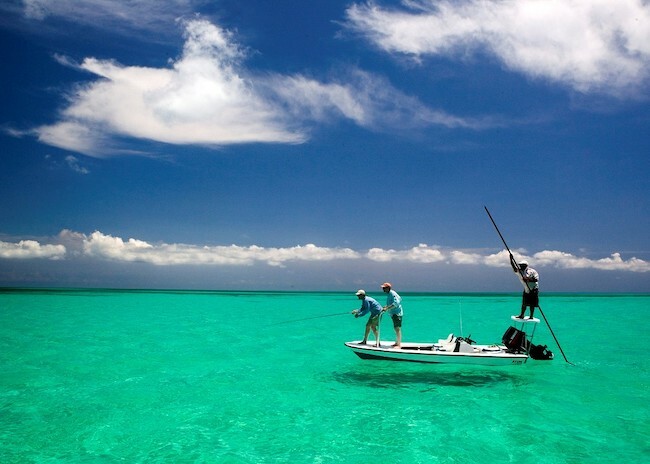 Cozumel has a wide range of lagoons, especially in the west part, which offer many different flats that fly fishing anglers can use to the maximum. The lakes we’ve mentioned have crystal clear waters which are why bonefish use them for a living. These flats covered with grass are hiding large schools of bonefish. You can find small groups and even single bonefish too. 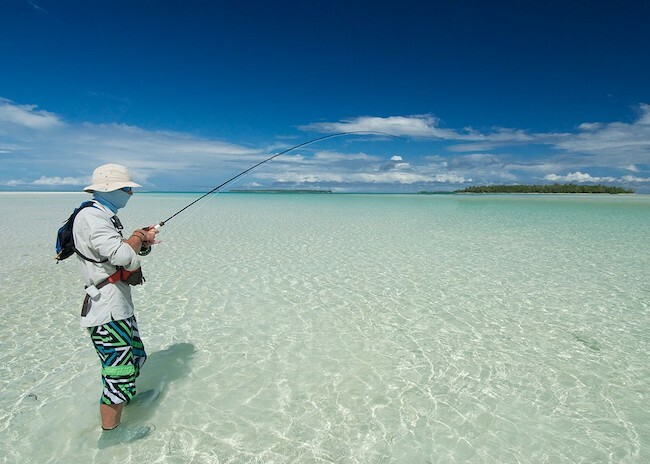 We should highlight the fact that fly fishing focused on bonefish is good all year round. What kind of fish will I catch with a Tulum fly fishing guide? Another reason why we recommend Cozumel as a fly fishing destination near Tulum is that this place has many other types of fish in its waters. For instance, anglers that want to catch some large species can also enjoy the northwest coast of Cozumel where they can find snappers and barracuda. There are many cases when the experienced anglers were able to catch black-tailed sharks too. Of course, if you want to focus on these fish, you need adequate equipment and at least some experience. A few different types of severe and so-called baby tarpons can be seen throughout the year regardless of the season. When it comes to seasonal fishing, you can focus on beautiful examples of palometas and permits that can reach between 10 and stunning 40 pounds. These types of fish are available in March, April, May, June, July, and August. How to go from Tulum to Cozumel? Getting from Tulum to Cozumel is quite easy, and it’s also easy to find a good fly fishing tour. Anglers can hire a fly fishing guide that can teach them how to catch these fish or a guide that can only help them find the best spots for fly fishing in this area. Cozumel is a place where you can find reasonably-priced tours and a place that promises a good time for every angler. Don’t miss this opportunity to enjoy fly fishing and use this incredible place near Tulum.